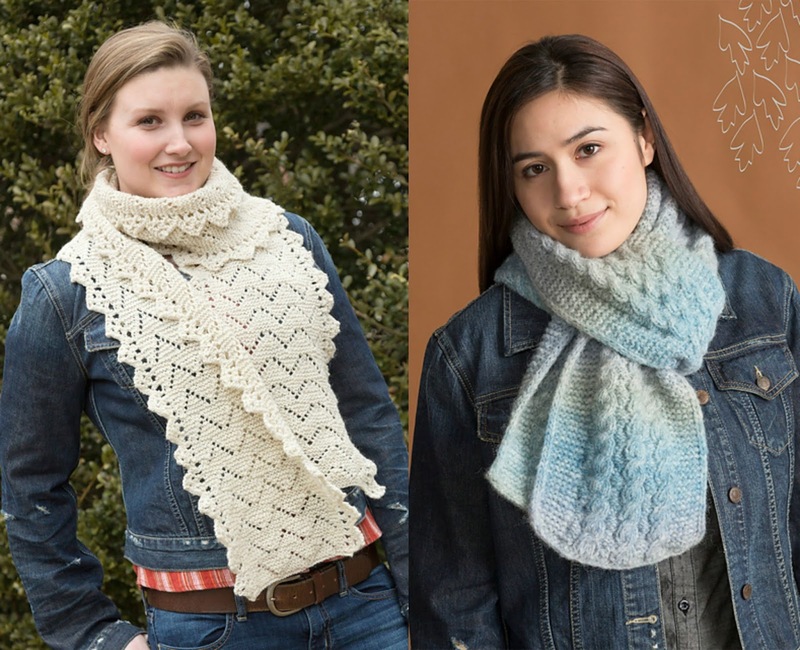 Although the weather is still balmy, it's time for us, as knitters, to begin creating the things we will want to wear when the chill in the air arrives. Each fall, I am drawn to the thought of a new scarf. When I find a scarf with two beautiful sides, as opposed to having an obvious wrong side that might be exposed, I feel especially motivated to begin knitting one up. The versatility and reversibility of Lacole (from our pattern book 'Winter Lace') offer up so many possible cozy ways for it to be wrapped and worn. The width of Marvel makes it a cross between a wrap and a scarf. 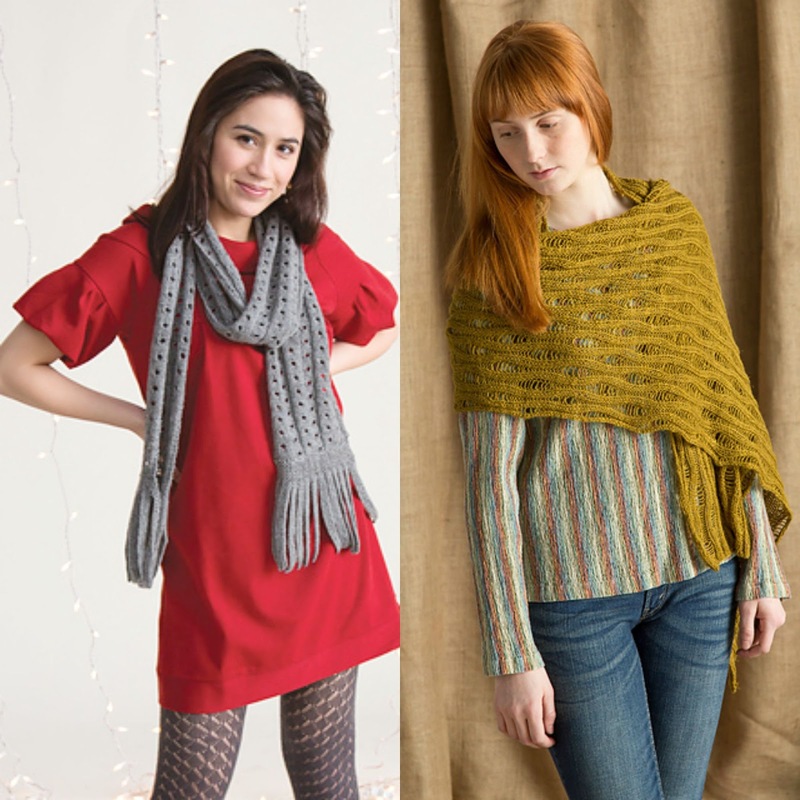 Firefly's drape pairs perfectly with the airy drop stitch pattern of this scarf, which is also reversible. Organic Mohawk Wool is lovely against the skin, and it has great stitch definition making the lace of Haystack really pop on both sides of the scarf. The twist of Wabasha is that the center cables are reversible. It's an easy technique with plenty of star power! Shown above, on the right, in the softly heathered Stream colorway, this year's new saturated colors of Avalanche would be a great fit for this scarf as well. So, before the nip has already returned to the air, pick a new scarf for yourself and cast on. I've got mine on the needles already.